One of the great science and health revelations of our time is the danger posed by meat-eating. Every day, it seems, we are warned about the harm producing and consuming meat can do to the environment and our bodies. Many of us have tried to limit how much meat we consume, and many of us have tried to give it up altogether. But it is not easy to resist the smoky, cured, barbecued, and fried delights that tempt us. What makes us crave animal protein, and what makes it so hard to give up? And if consuming meat is truly unhealthy for human beings, why didn't evolution turn us all into vegetarians in the first place? 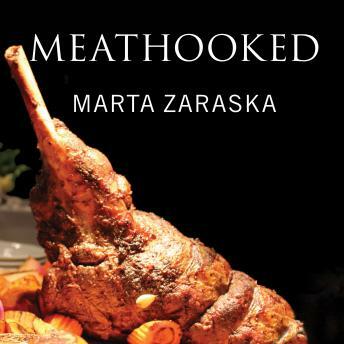 In Meathooked, science writer Marta Zaraska explores what she calls the 'meat puzzle': our love of meat, despite its harmful effects. Zaraska takes us on a witty tour of meat cultures around the word, stopping in India's unusual steakhouses, animal sacrifices at temples in Benin, and labs in the Netherlands that grow meat in petri dishes. From the power of evolution to the influence of the meat lobby, and from our genetic makeup to the traditions of our foremothers, she reveals the interplay of forces that keep us hooked on animal protein.